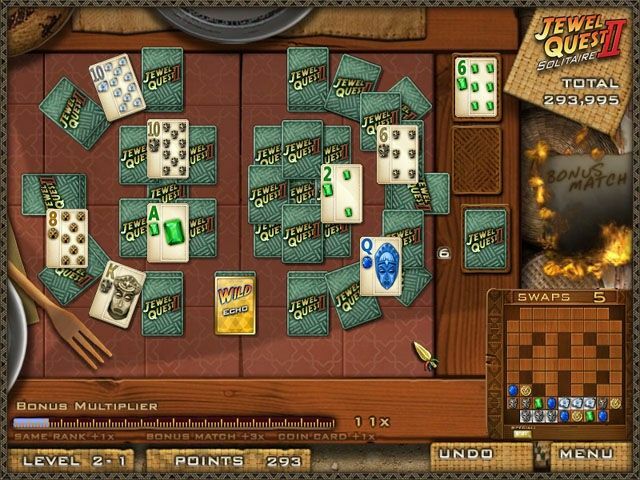 All about Jewel Quest Solitaire 2. Download the trial version for free or purchase a key to unlock the game! Jewel Quest Solitaire 2 is a brand new card-matching, jewel-swapping, mystery-solving adventure! Play dozens of solitaire layouts against vibrant backgrounds as Emma travels into the depths of Africa to find her missing husband. 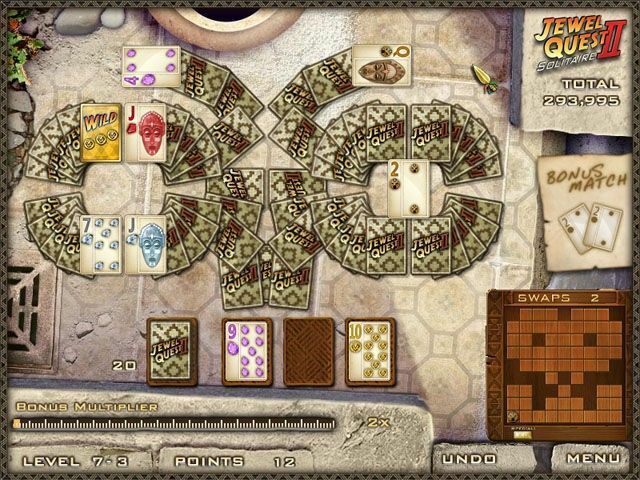 Jewel Quest Solitaire 2 is a brand new card-matching, jewel-swapping, mystery-solving adventure! Play dozens of solitaire layouts against vibrant backgrounds as Emma travels into the depths of Africa to find her missing husband. Play your cards wisely and earn jewels to increase your score in jewel matching madness! 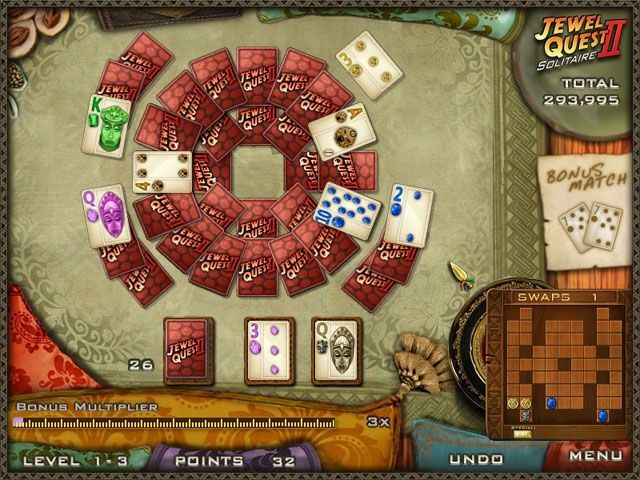 Jewel Quest Solitaire 2 also stars Aunt Roberta, a loony lady with a crazy cache of lore and a hatbox full of playing cards. Emma's journey takes and Roberta from far-flung marketplaces to famous African museums. Experience an all-new solitaire card playing adventure in Jewel Quest Solitaire 2!